A band of “cowboys” take on unearthed dinosaurs accidentally released from a mine. This one looks like it could be some dumb fun. More Sharknado news to share. 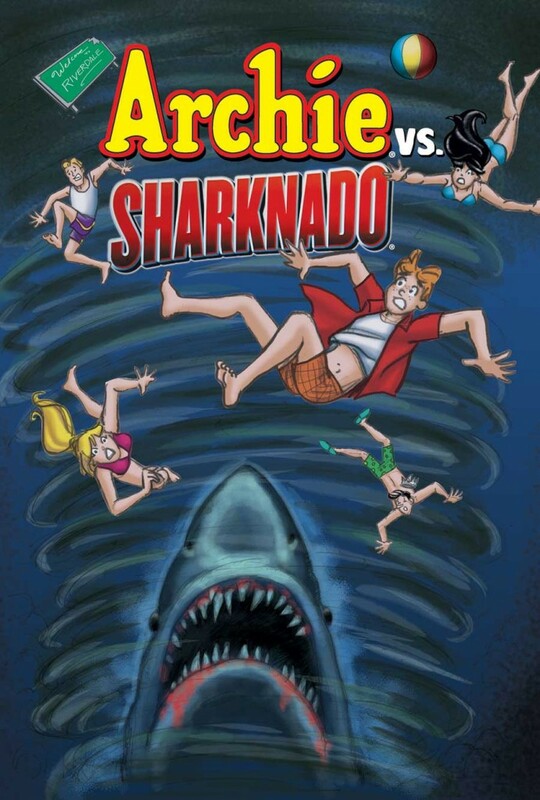 Looks like Archie and the gang will face off against a Sharknado of their own this July. Timed to coincide with the SyFy premiere of Sharknado 3, this one-off comic is the latest oddly wonderful mashup by the folks over at Archie comics. They’ve tackled zombies and predators, but do they have the chainsaw chops to survive flying sharks? We’ll find out in a few months.